Local Bicester couple Mr and Mrs Mackman recently called upon the expert team at Win-Dor, seeking to breathe life into their existing home extension as a way to celebrate their recent retirement from work. The couple were familiar with our previous work in the area, recognising right away that we had what it takes to take their existing extension from an unloved spare room, to fully functioning living space. The job at hand was no small feat, requiring the professional Win-Dor team to co-ordinate a range of various trades and skills. The extension’s base required installation, the roof was to be replaced with a tiled one and underfloor heating had to be applied. The project was so large in scale, that the local council treated the renovations as an entirely new build, needing to once again comply with building regulations set in place by authorities. Mr and Mrs Mackman could rest easy knowing that our Win-Dor team were FENSA registered, meaning that all work carried out on the extension by us would easily comply with require building regulations. Opting for a FENSA approved installer such as us meant the Mackman’s did not have to register their renovations with the local authority themselves, leaving us to handle all the tiny details. Mr and Mrs Mackman decided to carry out such an ambitious project to help them better live comfortably and more easily enjoy their retirement years. To do this, we were asking to replace the roof with the highly innovative SupaLite roof system, instantly capable of providing both style and efficiency. Constructed using a lightweight aluminium frame and filled out with insulated plasterboard, the existing extension would now be able to more effectively retain heat inside. 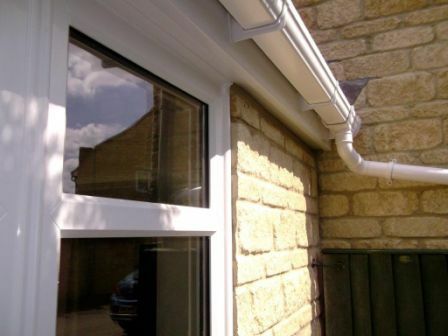 The roof which was finished in a stone colour finish was further complimented by a selection of high performance white uPVC casements, all double glazed and weather sealed for additional protection from the cold and elements. Whereas previously Mr and Mrs Mackman didn’t feel comfortable in their extension, they could now be assured that the extension would remain usable 365 days a year. It wasn’t just the roof that Win-Dor treated to some much needed TLC however, with a whole now underfloor heating system being applied to the extension’s base. This involved our team installing a network of pipes beneath the floor, allowing the warm water’s heat to rise and pass up through the floor to warm not just their feet, but the whole room quickly and efficiently. At Win-Dor, our top priority is customer satisfaction. We felt privileged that the Mackman’s chose us to help celebrate their recent retirement in the form of a complete extension renovation. 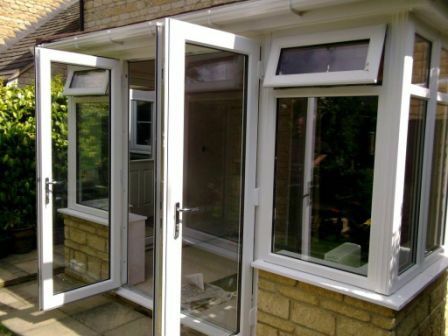 Unlike many window companies who employ contract sales staff based on commission, all of our staff are employed in-house to help make every project much more genuine and honest. 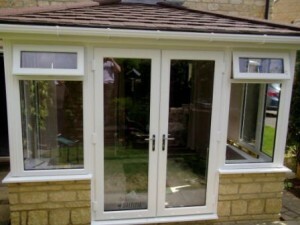 If you have an existing extension that you feel is in need of some additional TLC or simply want to treat yourself to a new conservatory or orangery all together, Win-Dor have the experience, knowledge and no-pressure solution for you. Call one of our local teams or contact us online today.